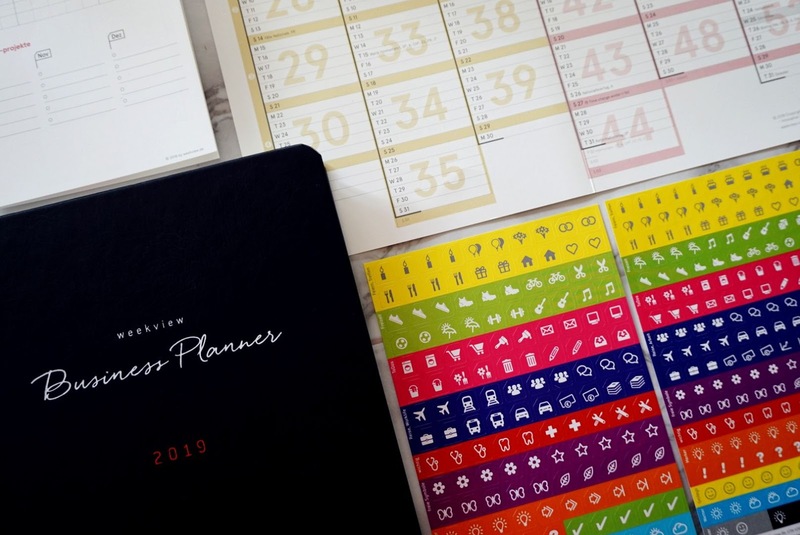 We all know that keeping organised is the key to a successful business and focusing on your goals. Which better way is there of doing that than with the WeekView International 2019 business planner. 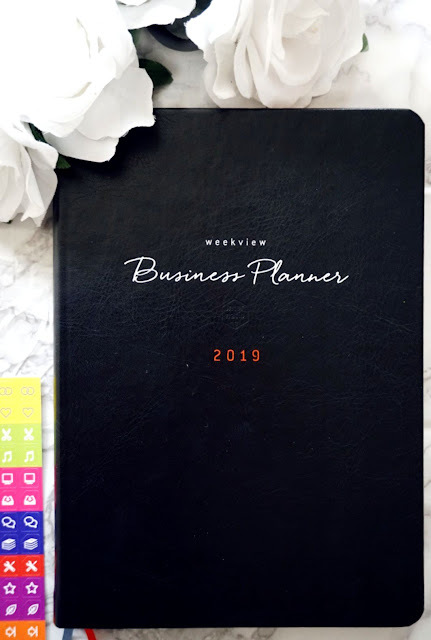 The 2019 WeekView business planner is an innovative time management system. This is the best way on how to focus on your goals and keeping your business organised. It is no secret that if you organise your time you will be able to accomplish more tasks. But the true question is how do I get on top of it ???????? How can I follow it through????????? How can I keep all my task lists, goals , appointments , daily to do's all at hand, so that I don't forget to follow through with my intentions????????? It's as simple as getting yourself organised for the new year and the years to come with the innovative time management system business planner by WeekView International. Let's start off by the exterior of the planner, I adore the design and which font they used to make it more visually appealing. The material looks like a black high quality leather one. You will also notice that it has two textile bookmarks (red and blue) and a black elastic closure. What actually interests us is the how beneficial the interior is, but the fact that it has a beautiful exterior is very appealing to me. Definitely a plus point!!!!!!!!!!! The interior includes a 12 month planning system. The planner contains 256 pages and measures the following dimensions 16.8 x 23.4 cm . You are getting an 8 years at a glance for 2018 till 2025!! This very useful as you are truly planning out your present and future. It works mainly on an A/B/C priority oriented planning system. At the beginning of the planner you have a section where a whole year can be found on 4 pages. This is useful as you get the whole year in plain view. This is available for 2019, 2020 and 2021. 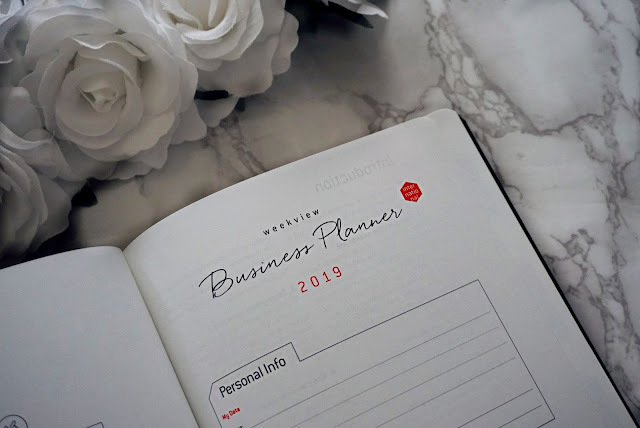 Subsequently you get 2019 in the form of being able to plan for a whole month on a single page!!!!!! I couldn't believe that 2019, 2020 and 2021 holiday dates and occurrences are clearly outlined. Time zones are also present to keep up to date with the countries you may be doing business with. One of my favourite parts is the Goals section for 2019 which focuses your attention on personal goals, family/friends , work and social/volunteering. Imagine having also a clear 2019 reflection on positive and negative experiences as well as lessons learned to steer you in the most productive direction. You get one week on 2 pages! This is very useful as you can see your whole week ahead rather than flipping back and forth through pages. 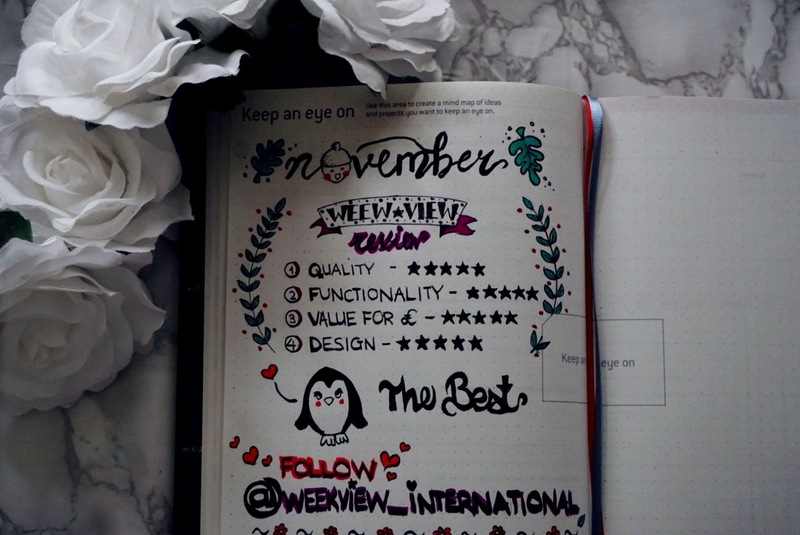 The lower half of the page creates the right environment to write in appointments, things to do within the 8 am to 7pm time frame. I particularly like that the top right hand side of the page includes an inspirational quote. 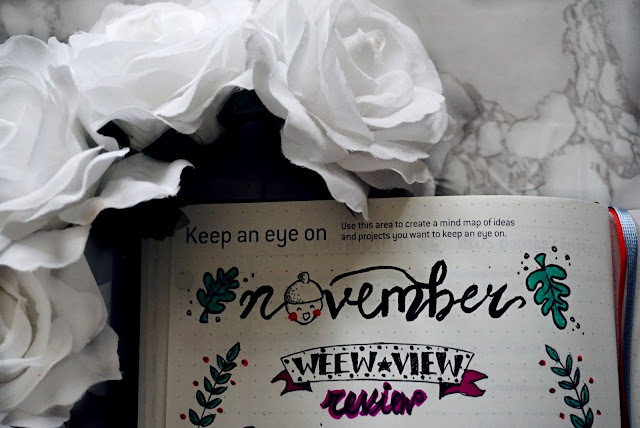 You also get space to add in your weekly goals , priority notes and weekly reflections. 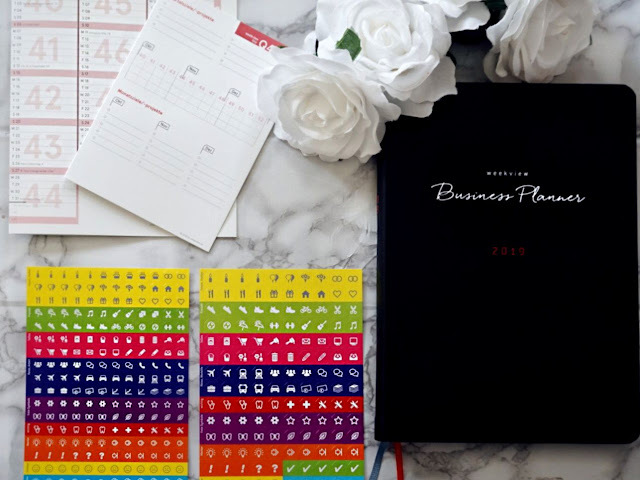 Can you imagine how organised the planner induces you to be? Not only will you have your week perfectly planned out but you will remain inspired to follow through and also be more ambitious as it pushes you to include goals and reflections!!!!!!!! 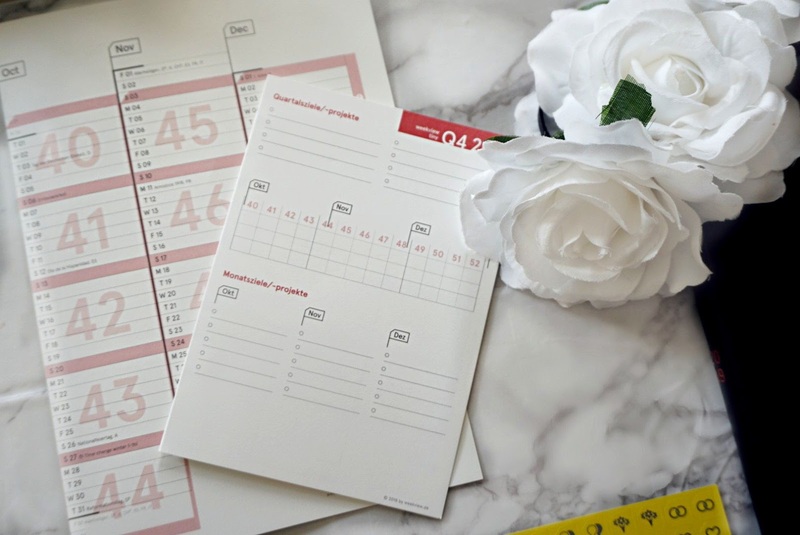 Last but not least there are clearly outlined pages for notes (graph and dotted paper) , filling in your timetable if you take classes, lists, notes , an address book and schedules. You can create new project overviews, quarterly planning sections, trackers for finances and health too. It is beyond complete when it comes to how many sectors it covers. 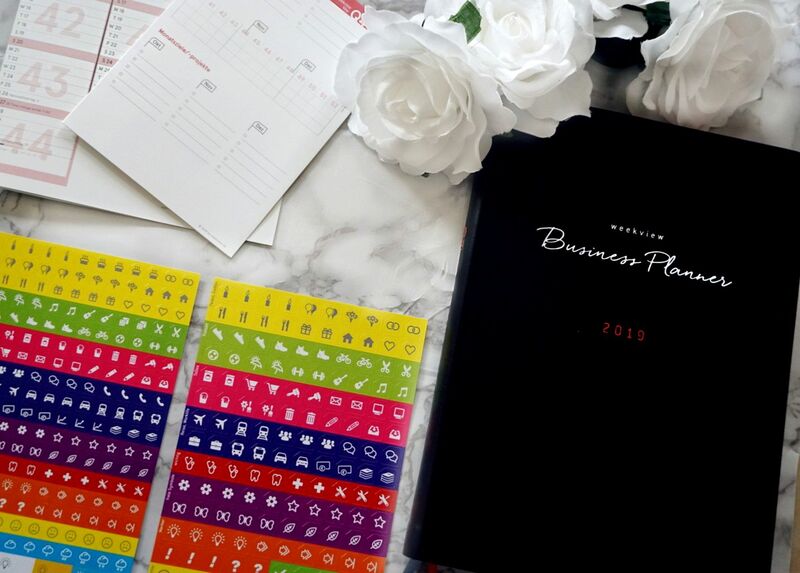 Together with the planner you will receive a 2018 and 2019 pocket planner together with a self adhesive pocket for the inside sleeve and some very cute stickers!!!!!! 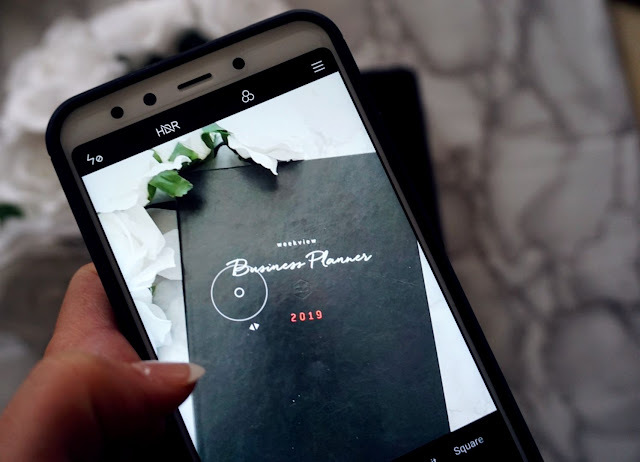 This innovative time management system is worth every penny not only because of it's beautiful design but rather because of it's incredible functionality. It got me thinking ahead thanks to it's many prompts. It has got me to be proactive because all sectors of both private and business life are covered. Not only is it a great business planner but it can make a great planner for family matters and even university/college. It is extremely versatile and beyond useful!!!!!!!!! I love how motivating it is and how it also gives you space to be creative. 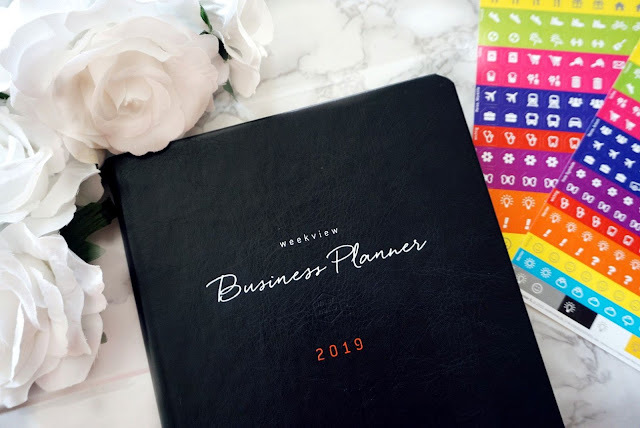 The best business planner I have seen or heard of. It is so versatile and great at keeping even the biggest procrastinator proactive. If you have a business this is a must have key tool to own. It has so many options and functionalities that are crucial for a successful business. I really adore that you can plan out your goals clearly and has targeted questions to stimulate your mind. It's time to get into gear for 2019 so what better way to start the upcoming year? Don't wait another instant ,plan your future and live your dreams.